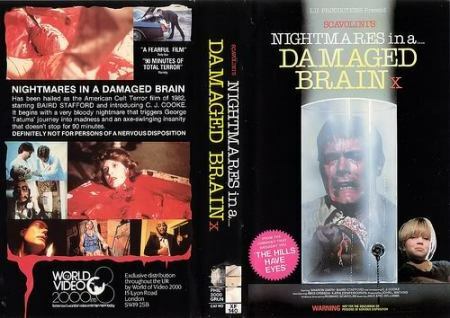 The history of ‘Nightmares in a Damaged Brain’ as a video nasty is very funny. Well that whole era of over the top moral crusading and BBFC overreaction to censorship was just ludicrously hilarious anyway. The film made its presence known to stuffy tight-collared conservative types when the videotape came with the gimmicks of a competition to guess the weight of a brain in a jar and giving away free sick bags with each copy. 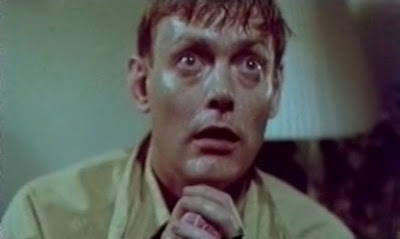 In addition, the movie’s original British distributor was imprisoned for releasing a version not passed by the censors. It was eventually banned but passed uncut in the United Kingdom in 2005. Unfortunately, it is that same version that the distributor was banged up for which is a tad bit snipped anyway. 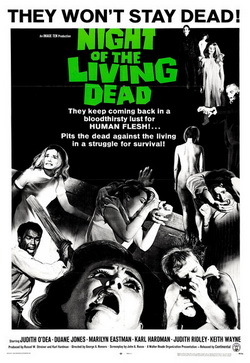 The film’s other claim to controversy involved one Tom Savini. Credited as the special makeup effects artist responsible for the visceral scenes of goretastic murders the SFX maestro in actuality served as a consultant to the work of Ed French. The theatrical posters even featured the tagline “IF YOU WERE TERRIFIED BY ‘DAWN OF THE DEAD’ & ‘FRIDAY THE 13TH’ YOU MUST SEE NIGHTMARE!” Two titles he made his name with just previous. 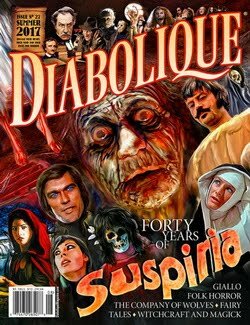 With such false blatant use of his horror fame to help promote the movie, even though the producers offered to pay him for the use of his name Savini found it to be very dishonest and he successfully sued having his name removed from the original promotional posters. His name still appears on the film though. He also claimed that he never worked on the production at all because he was working on ‘Creepshow’ (1982) at the time. However, the photograph below showing his involvement in executing the incredible highlight of the hatchet double murder scene that is sprinkled throughout the feature in flashbacks and then showed in its entirety in the climax contradicts this. Also simply put it is such a brilliant kill set-piece that firmly has Tom Savini’s stamp all over it that it is obvious he had supreme influence here. The movie itself is a weightier and more adult orientated slasher than most of its ilk circa early 80s. Do not worry there is still a fair amount of sleaze and naked female flesh on offer. 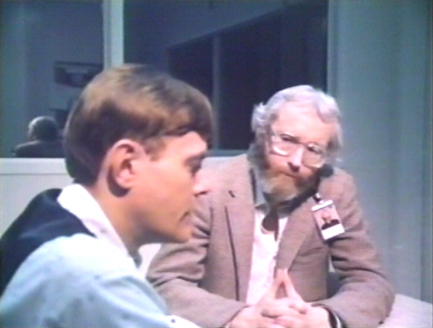 Writer and director Romano Scavolini took his inspiration from a newspaper article he read about drug experiments conducted on schizophrenics by the CIA. With that, he came up with the story of a man with the same said condition George Tatum (Baird Stafford) who suffers severely from recurring nightmares and waking visions involving disturbing and extremely violent and bloody imagery. The recurring flashbacks involve a childhood trauma he endured but due to a mild amnesia he cannot remember entirely what happed. He also suffers from seizures rabidly foaming at the mouth. Kept in a mental hospital George is treated for insanity with extensive doses of hypnotic drugs forced fed to him after he was arrested for sexually mutilating a family. The doctors rather hastily believe they have made a breakthrough with their secret experiments as he seems on the surface cured with the terrifying dreams and hallucinations cleared up. Stupidly the psychiatrist in charge lets him back out into the world thinking that George’s psychosis has ended. The medication though only suppressed his murderous desires and he regresses with his homicidal urges completely consuming him. He goes on a murder spree impulsively slicing and dicing complete strangers, as the gruesome memories of what happened when he was a child grow more and more intense. He returns to his home in Florida where it all happened and begins to stalk a single parent family he has specifically targeted due to a connection he has with them. The mother Susan Temper (Sharon Smith) has to put up with one of her three children the youngest and only son C.J who is also turning into a little psycho himself. Suffering from bad acting in the supporting roles lead actor Stafford helps greatly in making this slasher work so effectively. His performance aided by some strong characterization for his role from Scavolini’s script actually draws our sympathies despite the heinous crimes he commits. He is closer to a Norman Bates than an emotionless Michael Myers or Jason Voorhees with his tragic portrayal of a reluctant killer who shows remorse to his victims after murdering them and is genuinely distressed that he cannot stop himself. After the first act when we have gotten to know George the focus of the film changes completely to the family with him lurking in the background making silent and obscene phone calls and creeping about the family’s house. This offers some creepily twitchy moments of suspenseful tension directed with solid composition. It is just that the rest of this second act consists of us getting to know the family and single Mum Susan (Smith) is just annoying as hell. With a combination of terrible acting and awful writing for her character, she spends most of her time just yelling at her kids, sleeping and shagging her bearded bloke boyfriend. C.J comes off as just a small pest more than being creepy playing cruel practical jokes and generally just being a whiny little pain in the arse. The other flaw here is the pacing issues contributed by a completely and utterly pointless sub-plot. This involves Tatum’s fool of a psychiatrist and the clichéd overcoat wearing cigar smoking fat man (with a voice of a woman) in charge of the experiments arguing about how they should or should not have let him out, and having to track him down. They do not get anywhere near to finding him. There is no logic at all to these poorly written scenes and they ruin what would have been otherwise a lean well-paced affair. As it turns out the pacing is uneven. The last entertaining twenty minutes though really make up for sitting through the mixed bag in the second act with George going into full loon sod mode. 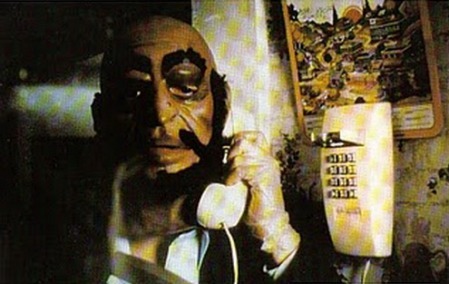 Wearing an old man mask, which C.J wore before playing one of his pranks he gets very nasty all leading up to that grand climatic flashback sequence of gory glory. Despite its shortcomings, this worthy slasher is deserving of the time of any horror aficionado with a hankering for the sub-genre. Recommended.